SweetTree been rated Outstanding overall by the Care Quality Commission. 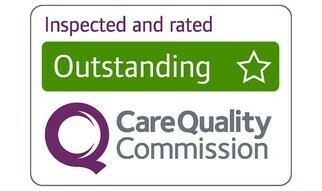 A north-west London based domiciliary care agency has been rated Outstanding overall by the Care Quality Commission. SweetTree Home Care Services, which is based in Swiss Cottage, but provides home and live in care across London, was rated Outstanding for being well-led and responsive. It was rated Good for being safe, effective and caring, following the inspection in October 2017. The agency provides support to a range of people. These include elderly and people living with dementia, people with brain injuries and neurological conditions and people with learning disabilities. At the time of the inspection, SweetTree provided care to approximately 380 people and employed 500 staff. The agency was exceptionally well led. There was strong leadership at all levels. The senior management team had been actively involved in all aspects of service provision and had very good knowledge about the business needs of the service provided and the satisfaction level of people who used it. Staff said they were well supported by the management team and they thought they could approach them with any issues related to their professional roles and responsibilities. There were a number of partnership initiatives. The aim was to continuously improve the positive experience of people who used the service and their families and increase awareness of the challenges and positive outcomes when working with people who need the support of others. This included the development of a National Dementia Carers’ Day in partnership with the Alzheimer’s Society and Dementia UK. In addition, the development of a series of training workshops for those professionals who wished to increase their knowledge and understanding of care related subjects. The agency had also worked with the University College of London on implementing Cognitive Stimulation Therapy that aimed at the reduction of the cognitive decline of people with mild to moderate dementia. Since the beginning of 2017, the agency had also started hosting quarterly Registered Managers Forums where representatives of various agencies in the area could share their experience and good practice of service delivery. SweetTree employ an Admiral Nurse, who is a trained nurse specialising in dementia care. The Admiral Nurse has worked with 80 families providing support and is also working with staff to support their work in caring for people with dementia. The agency provided exceptional, all-around support to people who used the service as well as their family members. A matching process was used so that people received support from the most appropriate staff member. Common interests, culture, gender or languages spoken were taken into consideration. This meant that positive relationships could be developed between staff and people who used the service. People’s care needs had been thoroughly assessed and they formed comprehensive care plans that took into consideration people’s care needs and cultural and religious preferences. People were involved in planning and reviewing their support and they said they felt in charge of care provided to them. People using the service and their relatives uniformly gave CQC positive feedback about the support they received and the staff who supported them. They said they were usually supported by the same staff who knew their needs and preferences well. They also thought the staff were very well trained to care for them effectively and they felt safe when they received support. The agency had its own Training Academy that provided Continuing Professional Development accredited training to all staff members employed by the agency.